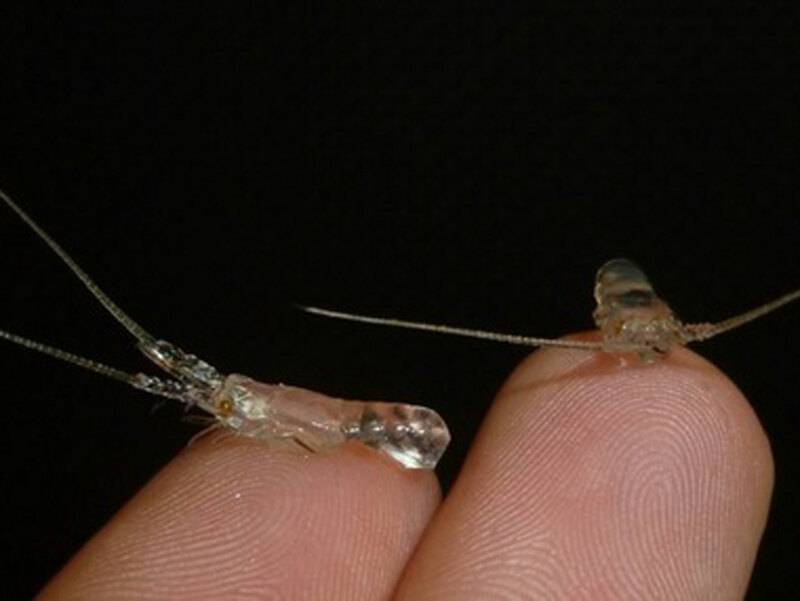 These teeny-tiny infant lobsters may be small, but their commercial value is anything but. Spiny-lobster (Panulirus argus) hauls in the Caribbean bring in $1 billion a year, which is why researchers are taking a closer look at these lobster babies. A new computer simulation, published June 7 in the journal PLOS ONE, reveals how lobster larvae travel in their first five months to a year of life, before they mature into adults. The study reveals that the Caribbean current, once thought to be a spiny-lobster superhighway, is actually a problem for little lobsters: If the larvae spend lots of time among the sea's strong currents, they're likely to be "flushed out of the system," study researcher Mark Butler, of Old Dominion University in Virginia, said in a statement. "Despite some expected degree of ocean mixing in the region, we found relatively high levels of larvae settling back to their place of origin," Butler said. "This was surprising for larvae that spend up to 12 months traveling." Instead of floating far away with other larvae, microscopic plants and other plankton, the spiny-lobster larvae move to deeper depths as they age, pulling themselves out of the strong currents and increasing their likelihood of settling safely on the ocean floor. The findings are important for improving the sustainability of spiny-lobster fishing, the researchers said. Certain "source regions" in the Caribbean seem to supply most of the sea with its spiny lobsters, suggesting that nations in the regions need to band together to protect these hatching grounds, said study researcher Andrew Kough, a doctoral candidate at the University of Miami's School of Marine and Atmospheric Science. "If the nations receiving the influx of larvae and harvesting the adult lobsters were to invest and help protect these source regions, we believe that the future of the fishery will be more secure and may even improve," Kough said in a statement.